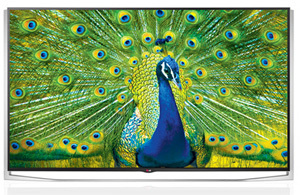 The 84UB9800 marks the 3rd generation of LG's premium 4K LED TVs. A few key upgrades from previous 4Ks from LG include 4 HDMI 2.0 inputs, IPS panels for increased brightness and better side angle viewing, and Ultra Clarity for even better motion blur reduction. 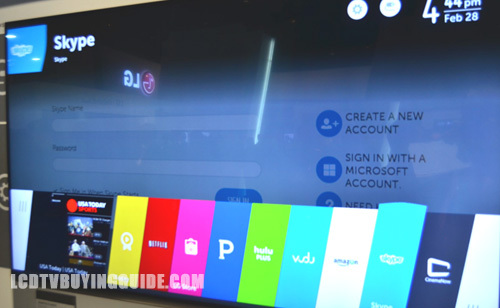 The 84 inch screen size is on the large end of the TV spectrum, so it carries a premium price of $14,999 at launch. As typical of LG, the built-in audio quality is just about as good as it gets without a home theater system. HD to 4K upscaling is another high point since native 4K content is not widespread yet. 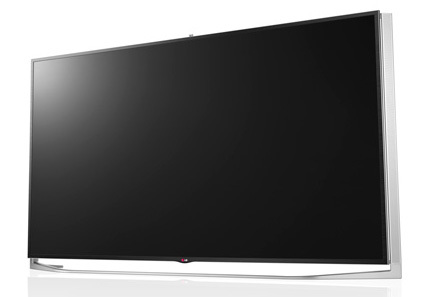 The LG 84UB9800 offers all of the top of the line features in the 4K lineup for 2014. The Tru-Ultra HD Engine is in chage of upscaling duties on the 84UB9800. Since the selection of 4K content is still sparse (but we are getting closer), the upconversion quality of 1080p and 720p content is very important. LG hasn't created a content distribution system like Sony has, so it is even more important for this to be excellent. The UB9800 uses a 4 step process to examine and enhance broadcasts, recorded video, and home video game consoles. The result is a sharp and clear picture on a 4K screen. The included HVEC is another plus for efficient streaming for the best picture possible. LG's always uses passive 3D technology, and we like what we see. The best part is the glasses tend to be lighter, more comfortable, and much cheaper for extras. There are no batteries involved and more glasses are included in the box. The picture displays a great amount of depth, rich colors, and good contrast from front and center. Brightness and side angle viewing are where the UB9800 looses some points when it comes to 3D content. The overall image seems a little dim and lacks the brilliance seen in 2D content. Side angle viewing is saved by the IPS panel. We see some loss of contrast as you move off-center, but color degradation is minimal. Finger Gesture is a new feature using the optinal camera. It is limited in use and operation to juts a few functions. A small arched menu appears on the screen when you access it with your finger. You can control volume, On/Off function, or input selection but that's it. It just really allows volume adjustment without the remote for all practical purposes. LG hopes to add more functionality to it later. It works reasonably well, but again, you probably won't use it much. 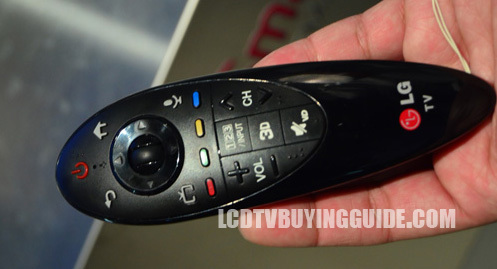 The new Magic Wand Remote included with the 84UB9800 has seen a number of improvement since last year. In our reviews last year, we thought the magic remote was a handy inclusion that really helped navigation in the menus and in the web browser. We are happy to welcome it again with new voice features. The 84UB9800 adopts the wide stand design that we have seen so much of over the past year. It is a sleek and minimalistic look, but those who don't have wide TV stands cannot accomodate the width. Wall mounting is then neccessary. The Cinema Screen design provides very thin black bezels and a super slim profile. The screen looks like it is floating above the front facing speakers with the 2-tiered design. Since the 84UB9800 features some of LG's most advanced picture quality technology and the impressive front facing speaker system, you are going to pay a premium. 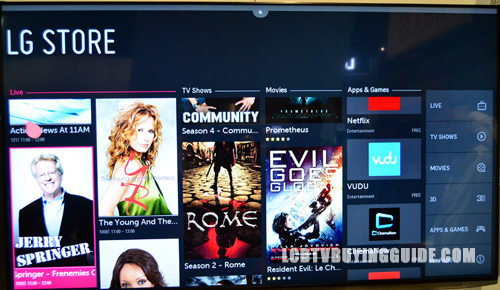 At $14,999 it is priced competitively with similar models from Samsung and Sony. The Sony XBR-85X950B is their top of the line 4K LED for the year carries a much higher price tag that makes the UB9800 look like a drop in the bucket. TV without stand (WxHxD): 79.7" x 43.8" x 3.4"
TV with stand: 79.7" x 46.1" x 13.5"